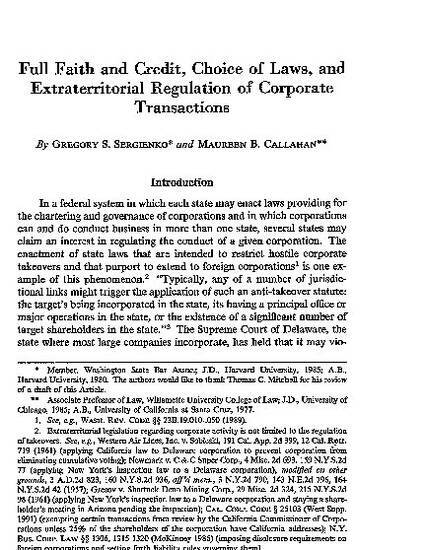 Gregory S. Sergienko; Maureen B. Callahan, Full Faith and Credit, Choice of Laws, and Extraterritorial Regulation of Corporate Transactions, 18 Hastings Const. L.Q. 325, 370 (1991).